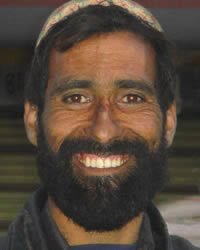 The Pashto diaspora, also spelled Pushtun or Pakhtun, Hindustani Pathan, Persian Afghan, Pashto-speaking people, are those people originating and residing primarily in the region that lies between the Hindu Kush in northeastern Afghanistan and the northern stretch of the Indus River in Pakistan. Pashto culture is mostly based on Pashtunwali and the usage of the Pashto language. Their culture also is a unique blend of native customs with some influences from South and Western Asia. Like other Muslims, Pashtuns celebrate Ramadan and Eid al-Fitr. Some also celebrate Nouruz, which is the Persian new year dating to pre-Islamic period. For Christians to become friends with the Pashtun, revealing through their lifestyle what it means to have a personal relationship with God, and sharing the message of Jesus Christ as the intimate God. For Christians to encounter Pashtun people of peace who will then become followers of Jesus Christ and in turn begin making disciples among their own people. That churches will catch a vision to embrace the Pashtun people, and in so doing those Pashtun who become followers of Jesus Christ will share the message of Christ with their family and friends in Afghanistan and Pakistan.